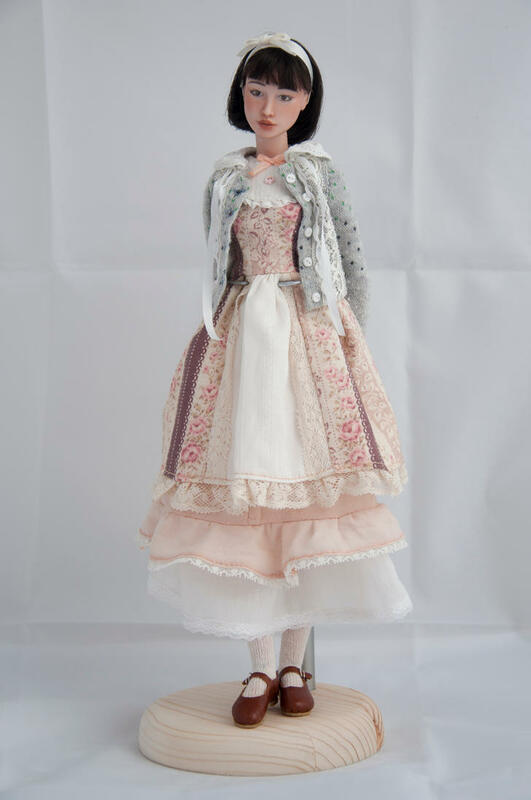 Meet Miroslava, my lovely porcelain princess by the very talented SisterFox. Miroslava is about 29cm tall. 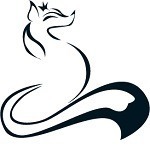 SisterFox will hopefully be joining the forum next week once she has finished an exhibition, so I will leave it to her to add her personal details and further info. Here is Miroslava again, and Sakura, my first SisterFox princess! These photo's really don't do them justice, I will replace them when I take some better ones! Aaahhh so beautiful! If I'm not mistaken, I believe allurose and I were swooning over Sakura a while back. I love both! Yes, I am really fond of both! For some reason, Sakura is really hard to photograph, her finer details get lost in the pictures somehow, but Miroslava always looks just as she is! My five year old son is convinced they come alive when we are not looking and blames them for all the litte 'accidents' around the house!! Yep, that was her! Nessa tried to convince me to get her on eBay. I would have if I could have convinced more money to go into my checking account! Lol! If you had bid against me allurose, you would have won! I barely made the cost and I had to raid my RED savings fund to get her! But I promise if she ever decides to leave me, you get first dibs on her! BTW is anyone else's wish list getting to be as high as the cost of a house? because mine is!!!!!!!!! I need to win the lottery! Beautiful, I hope we can see more of them! They are both so beautiful!! 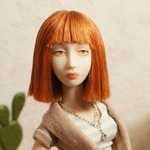 Please post more pics soon I saw these dolls on deviantArt a while back, and I really liked them. So I'd love to see more! Thank you, bibarina, for starting the discussion! So, this is me Maybe I should start with introducing myself in other part of the forum and I promise I will do it later. I think I can add some photo, can't I? Yes, I can see your Sakura and she is so lovely! I almost bought her. I thought she would go nicely with my Paperwhites. And then I find bibarina thought the same thing! I'm happy to see pictures of her and your other dolls too!